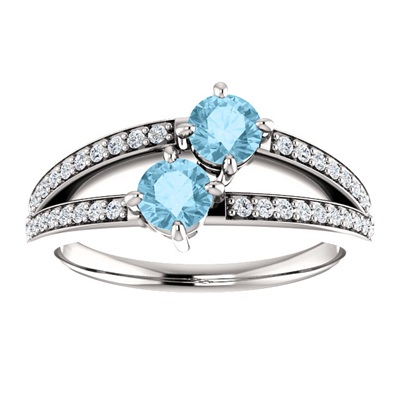 The light and airy look of the 4.1mm aquamarine stones on this 14k white gold ring add a classy look. The color symbolizes how the sky is the limit when it comes to your love for someone. You will also get 46 amazing and carefully cut small diamonds added to the two-tiered band. We guarantee our 4mm Round Aquamarine and Diamond 2 Stone Ring in 14K White Gold to be high quality, authentic jewelry, as described above.